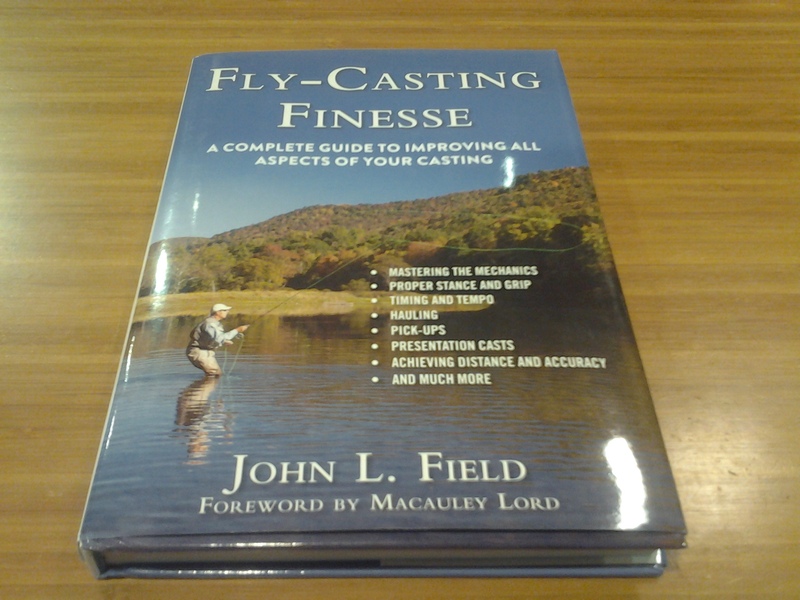 Book Review: Fly-Casting Finesse . . . When a new hardcover book dedicated to some aspect of fly fishing reaches print, there should be a pause, as the production time and cost for such a lasting document indicates the publisher’s belief in the value of the information on the printed pages between the covers. Skyhorse Publishing, no stranger to readers of angling literature, has just released such a book. 160 pp., Skyhorse Publishing. Hardcover, $29.99. First impression of the cover is reaffirmed by the fact the same glossy color is sleeved in a matching dust jacket. A quick flip through reveals excellent illustrations, diagrams, and chapters than contain numerous subsections with page breaks, a format that gives the busy reader plenty of places to pause and pick up again, almost the way one works a fly line on and off the water. Who is the author? His name may be new to those used to hearing Kreh, Krieger, Rajeff, and Wulff, all giants associated with the cast. Field, who lives in Connecticut, is a former president of the New York City Chapter of Trout Unlimited and the American Casting Association. His casting reputation is solidified by his status as an IFFF Certified Master Casting Instructor. Credentials enough to author a book on the fundamental mechanics of fly fishing. I invite readers to explore the book for themselves for an elaboration of such phrases. Set aside some time outdoors as well to put into practice what Field has written on the page. Tenkara is not given any featured place in this book. What may to some appear to be a shortcoming, or weakness, actually on reflection refocuses the fact that, tackle choice aside, it is the angler and the positions, angles, and motions used in the fishing process that matter. A chapter on the double haul has no practical value in the world of fixed line fly fishing, but so much else – line mending, casts in close quarters, the roll, the bow and arrow, et al, can all add to the skill set of those who fish the rod, line, and fly. Fly-Casting Finesse is available at Urban Angler, Ltd. in Manhattan and, of course, online.